Back in the early '80s, I worked for DARPA. During the height of the Cold War, we were really worried about being attacked by Russia. My team was charged with designing a RESTful interface to a nuclear launch site; as far as technology goes, we were way ahead of our time. Anyway, I wanted the interface to be "PUT /bomb". However, my co-worker insisted that it should be "DELETE /russia". One of my other buddies suggested that we compromise on something more mainstream like "POST /russia/bomb". Finally, my boss put an end to the whole fiasco. He argued that any strike against the USSR would necessarily be in retaliation to an attack from them. Hence, he suggested that it be "GET /even", so that's what we went with. I just received my copy of Expert Python Programming. I was the technical editor, and I also wrote the foreword. This is the first time I've ever been mentioned on the front cover of a book, so I'm very excited! I really enjoyed editing this book. It's the first expert-level book on Python I've read. For a long time, I considered writing one. Tarek beat me to the punch, and I think he did a fantastic job! I wrote a simple tool that could take Web logs and replay them against a server in "real time". I was performance testing my Web app over the course of a day by hitting it with many days worth of Web logs at the same time. By monitoring top, I found out that it was leaking memory. I was excited to try out Guppy, but it didn't help. Neither did playing around with the gc module. I had too many objects coming and going to make sense of it all. Hence, I fell back to a simple process of elimination. Divide-and-conquer! I would make a change to the code, then I would exercise the code in a loop and monitor the output from top for ever-increasing memory usage. Let me give you some examples. 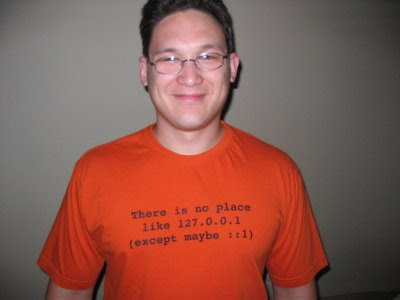 I use Linux, Nginx, MySQL, and Python, not to mention a Web browser. These days, very few people need to write a custom kernel, Web server, database, or programming language to solve their particular problem. Sure it happens, but it's far more common to reuse something existing. I even make use of an existing Web framework, Pylons, and an existing templating engine, Mako. Those things are often written from scratch, but I didn't need to. They were fine. Since I have four children, I found the following quote from Stallman to be very disturbing:Hundreds of thousands of babies are born every day. While the whole phenomenon is menacing, one of them by itself is not newsworthy. Nor is it a difficult achievement—even some fish can do it.When a fellow Emacs developer said that he had just become a father, Stallman replied, "I am sorry to hear it." Perhaps he was just trolling. Well, Stallman's right. Even fish can reproduce. However, even a dog knows not to piss on his friend's leg. It reminds me of The UNIX-HATERS Handbook, which I also love. The funny thing is that to some degree, he's right about Python's culture. I've seen it with my own eyes. Don't believe me? If I were to admit that I preferred Ruby on Rails over Django, how long do you think it would take for someone to flame me in a comment calling me either an idiot, a troll, a loser, or a heretic, or to say something like "You can recognize good design by the inanity of its detractors"? The good news is that I was a lead technical editor of Python for Unix and Linux System Administration which just came out. The bad news is that as my wife called me to tell me that my copy of the book had arrived, I noticed that someone had clipped my car in the parking lot and tore off part of the bumper. It looks like I'll have to replace the whole bumper. Anyway, about the book, it's exactly what the title says it is. If you have a computer science background, this book is not for you. However, if you're a sysadmin trying to learn Python, it's perfect. In fact, when I think of all the sysadmins I've met who do a bit of scripting, this book matches them perfectly.